This is the story of Studio Ghibli covering the three decades following its founding in 1985 as told by Toshio Suzuki, the acclaimed producer of the box office hits Princess Mononoke, Spirited Away, and others. Based on the author’s innate curiosity about everything around him and the considerable resources that he accumulated over thirty years, it is the story of what took place behind the scenes at Ghibli films and the human tale of the staff that devoted themselves to filmmaking, told with the author’s distinctive touch and sense of humor. Suzuki’s first encounter with animation came after he joined Tokuma Shoten Publishing, where he was put in charge of launching the animation magazine Animage. It was through this magazine that Suzuki first met the genius directors Hayao Miyazaki and Isao Takahata and gained their confidence. He was the de facto producer of the cinematization of Nausicaä of the Valley of the Wind (1984), which proved to be his entrée into the world of filmmaking. Six years after the success of Nausicaä, Suzuki devoted himself entirely to Ghibli. Thereafter, he produced many films for Ghibli, in addition to those directed by Miyazaki and Takahata. Today he continues to guide the studio, reveling in the joys and sorrows of filmmaking. Toshio Suzuki, born in Nagoya city in 1948, is producer and chairman of Studio Ghibli. Graduated from Keio University (B.A. 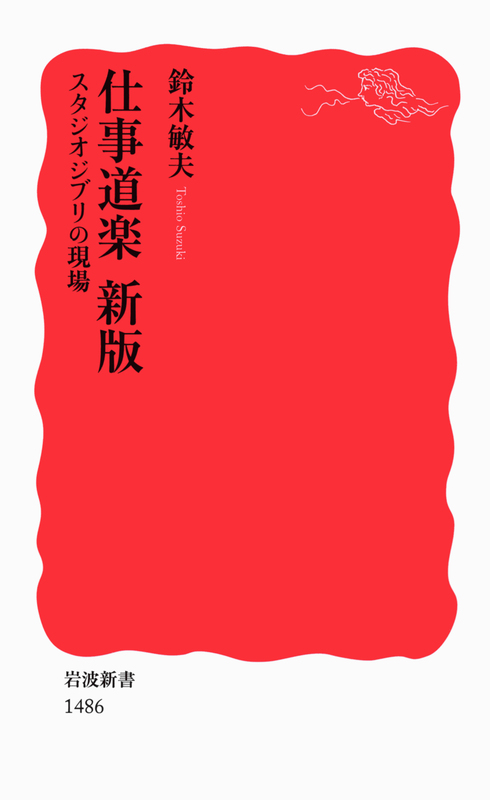 in literature) in 1972 and was employed by Tokuma Shoten Publishing. After working in the editorial department of the magazine Animage, he became involved in film production with Nausicaä of the Valley of the Wind. From 1989 he devoted his time exclusively to Studio Ghibli, producing numerous hits such as Princess Mononoke and Spirited Away.